In a speech in Istanbul on Friday, Erdogan stressed that Ankara has shared the recording with Washington, Berlin, Paris and Ottawa. “The United States, Germany, France, Canada, we made them all listen … The man clearly says ‘I know how to cut’. This man is a soldier. These are all in the audio recordings,” he said. Khashoggi, a Washington Post columnist and prominent critic of the Saudi Crown Prince Mohammed bin Salman, was killed after entering the kingdom’s consulate in Istanbul on October 2. After weeks of denials of any involvement, the Riyadh regime eventually acknowledged the “premeditated” murder, but has vehemently sought to distance the heir to the throne from the case. Istanbul’s chief prosecutor said the journalist had been suffocated inside the consulate, before his body was dismembered and disposed of. A CIA assessment concluded that it was probably bin Salman who had ordered Khashoggi’s assassination. Additionally, the US Senate unanimously adopted a resolution that assigned responsibility to the Saudi crown prince for the killing. He also renewed his criticism of Riyadh for offering various contradictory explanations over the incident. Erdogan further complained that Saudi Public Prosecutor Saud al-Mu’jab had provided Turkey with no new information regarding Khashoggi’s death during his recent visit to Istanbul. “Saudi Arabia wanted to take away [the evidence of the murder], but sorry, it is too much. You can listen to them, you can see them, but you cannot take them away. Should we give it away so that you can destroy them?” Erdogan asked. 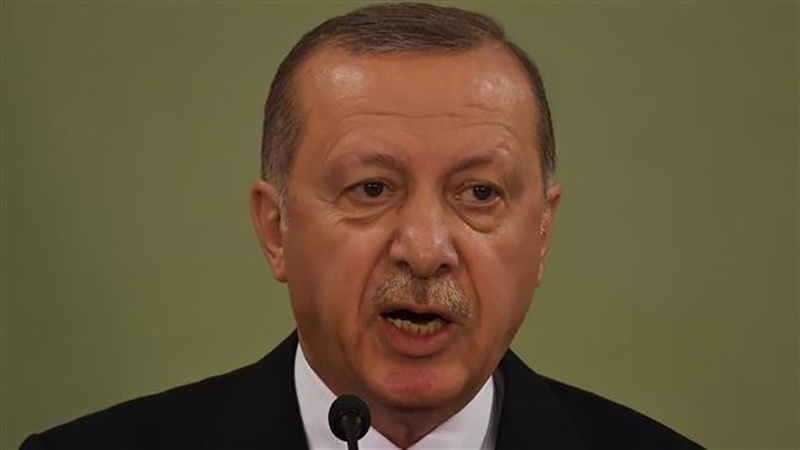 Touching on the US Senate vote, the Turkish president emphasized that such moves should continue until justice is achieved.